The Pathways to Instructional Excellence (PIE) is designed to help lead instructors through competency-based pathways that recommends a sequence of training workshops that should be completed to become more competent instructors. Wilmington University is committed to providing all students excellence in teaching and learning. In order to achieve this excellence, the Academic Affairs department has worked to define and articulate the following expectations for all Wilmington University instructors: Teaching Expectations for all Faculty. If you are competent in one of the trainings listed on your professional development plan, there is a process to follow for you to receive credit for it without attending the training. Rationale: Blackboard and grade center usage directly impact student success. Thus we highly recommend that all faculty complete the Blackboard Basics and Advanced training. This will also allow you to fulfill the prerequisite for HOT Training Certification. *Denotes a training that is required to be completed before being eligible to teach at Wilmington University. Catalog -> Courses -> Search for Blackboard Advanced in the search bar. Then click the green Select Date button. You can only register if the prerequisite workshop has been completed. Catalog -> Courses -> Search for HOT in the search bar. Then click the green Select Date button. You can only register if the prerequisite workshops have been completed. HOT is a 3 three week online course and is offered once a month. Please note that it is not a self-paced course, so instructors will need to complete the weekly assignments within the published timelines. Complete the prerequisite, Hybrid and Online Training (HOT), to become eligible to enroll in PYT. PYT runs once at the start of each term (Spring, Summer and Fall) in a fully run five week online course. Listed below are the 5 required prerequisite workshops included in the exemplary level. Complete all 5 prerequisite workshops from this set of workshops to become eligible to enroll in the Exemplary Course Program. Also, the prerequisites to register for ECP are the completion of the Essential, Proficient, and Mastery programs. Exemplary Course Program runs twice per year (January and June) in a fully run five week online course. WilmU faculty may simply click on a session title to register. You must be logged into the WilmU Learning Center to register for a workshop. The Online Learning and Educational Technology department currently offers 29 different technology trainings. The Center for Teaching Excellence department currently offers 21 trainings. Review the learning objectives for a workshop. Make a screencast in Kaltura demonstrating your competency of the learning objectives. Send the video to EdTech@wilmu.edu for an instructional technologist to review. Wilmington University is committed to your professional development as a faculty member. Excellence in teaching and individualized attention to students are core components of Wilmington University's mission. The skills you acquire from these trainings will help you to enhance student learning using technology. WilmU faculty may simply click on a session title to register. You must be logged in to the WilmU Learning Center to register. We recommend that you complete a few of the workshops listed below each semester, so you can improve your technology skills in small increments over time. Login to the WilmU Learning Center – remember to use your existing @wilmu.edu email address and password to log in. Now that you’re logged in, review the workshop topics listed in the table below. Then click on a workshop’s title to review the schedule of upcoming sessions. To the right of the session date you want to attend, click the green “Register” button. That’s it! For more information on how to register for workshops, visit this help page or watch this video to see the entire registration process. 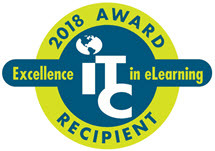 Award details: WilmU's Center for Teaching Excellence and Educational Technology Departments won a 2018 Award for Outstanding Support for Faculty or Students for the Pathways to Instructional Excellence program. This is award is granted to institutions of higher education that built an organizational unit that has a solid reputation for outstanding support and service for their faculty or students. The unit’s efforts have been proven to be replicable and innovative, since it serves as an open-source professional development curriculum with on-demand videos. Read more about the College of Online and Experiential Learning Awards and Recognitions.